Sen. Rand Paul (R-KY) accused Republicans of paying only “lip service” to the pro-life movement on the Senate floor Thursday after Senate Republican leadership blocked his amendment to defund Planned Parenthood over concerns that it would be a “poison pill” that would prevent the appropriations package for Defense, Labor, Health and Human Services, and Education from passing. 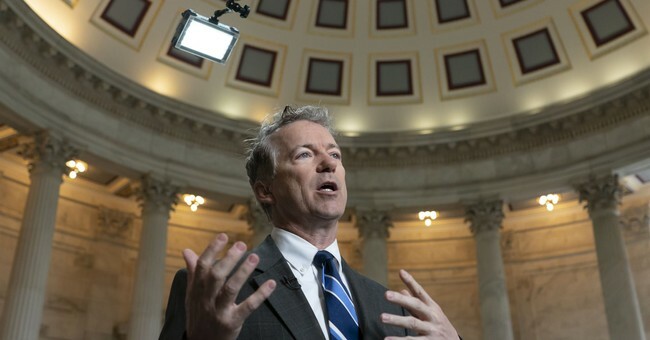 The Senate allowed a vote on the amendment following Sen. Paul’s speech. However, his amendment failed in a 45-48 vote with a 60-vote threshold and GOP Senators Collins (ME) and Murkowski (AK) joined Democrats to vote against it. Following my speech calling out those blocking my amendment, the Senate is now holding a vote on my proposal. Pro-life groups praised Paul for pushing a vote on his amendment and to those who voted in favor of it. “March for Life is grateful to Senator Paul and to those who voted in favor of an amendment to the appropriations bill that would have banned funding to abortion providers, including Planned Parenthood, nation’s largest abortion provider, and subject of Department of Justice investigation into the trafficking of aborted baby body parts,” Jeanne Mancini, president of the March for life commented.